Yes, we know. This is clearly not a couch or a sofa. It is a chair, making it street furniture. 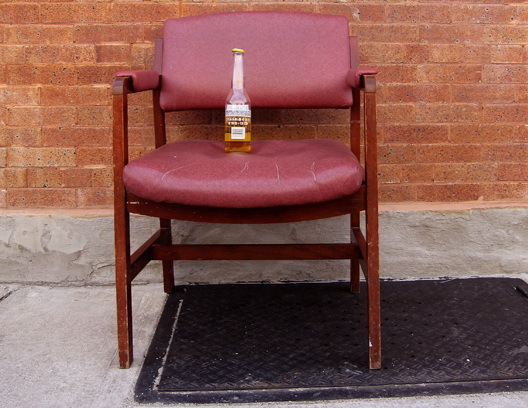 What we like about this speciment from Diamond Street in Greenpoint is the beer on the chair. Looks like a Corona. No lime. Just wanted to send some love to the Street Couch Series. When GL was on hiatus, it was the one thing I missed most (sorry, I know that’s inane)…and when I would see a nice one, I’d get all wistful. The best specimens are everything you can’t rationally explain about why you love Brooklyn. ‘Scuse me, gotta go get a life now.